Dr. Cynthia Maung, founder of the Mae Tao Clinic on the Thai-Burma border have been announced the joint winner of South Korean POSCO TJ Park Prize for 2015. Dr Cynthia award was in the category of Community Development & Philanthropy awarded by POSCO TJ Park Foundation. A letter of announcement and invitation to receive the award was sent to Dr. Cynthia on January 6, 2015. According to the letter, Dr. Cynthia will shared the Prize with the Indonesia based Bina Swadaya Foundation. The letter stated that the total prize money is about 200,000,000 KRW (about $180,000 USD) and is shared by both Dr. Cynthia Maung and the Bina Swadaya Foundation. The POSCO TJ Park Prize Award Ceremony will be held on Wednesday 25 March 2015 in Seoul, South Korea. Dr. Cynthia confirmed to Karen News that she will receive the prize. The announcement letter sent to Dr. Cynthia also stated that the POSCO TJ Park Prize are awarded in science, education, and philanthropy and each year, after a strict selection process, it grants an award to the individuals or organizations that have made the greatest contributions to their respective fields. Naw Ler Say, secretary of Australia-Karen Organization in Victoria Province spoke to Karen News about Dr. Cynthia’s prize. The POSCO TJ Park Foundation was formerly named Steel Scholarship Foundation in 1971 and the name was changed to Pohang Iron & Steel Scholarship Foundation in 2002 and from 2005 it has been known as the POSCO TJ Park Foundation. 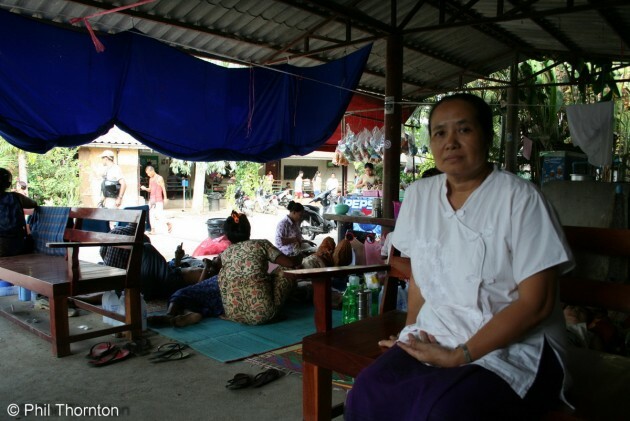 Dr. Cynthia Maung took refuge on the Thai-Burma border during the pro-democracy student uprising in 1988 and founded Mae Tao Clinic in 1989. The clinic treats displaced people, refugees and migrant workers from Burma who are unable to access basic healthcare in their home country. The MTC treats as many as 140,000 caseloads each year. Dr. Cynthia has received more than 20 international awards in recognition of her work over the last 25 years.